All HURLEY HEIGHTS homes currently listed for sale in Phoenix as of 04/20/2019 are shown below. You can change the search criteria at any time by pressing the 'Change Search' button below. "Stop the car! If you are in search of a classic California Bungalow- look no further- this is the one! 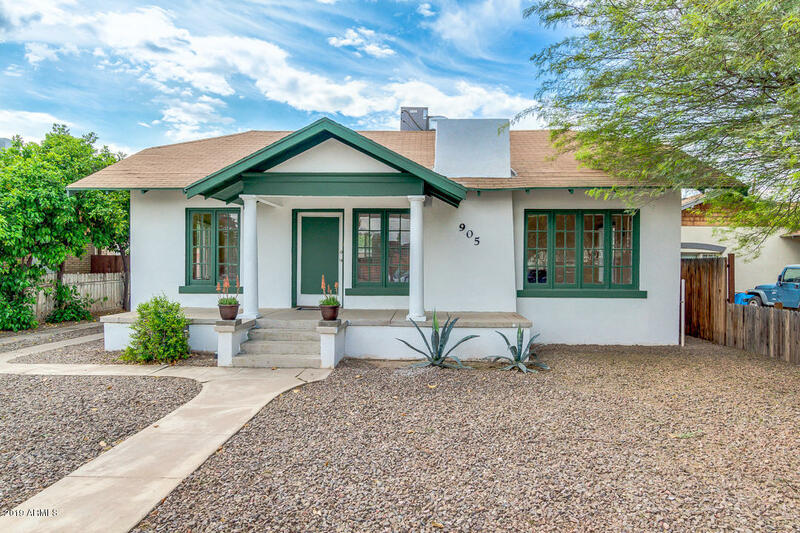 This charming early 20th Century 2 bedroom 1 bath home is not only located in the heart of the Coronado Historic District - it's on Coronado road! Location, location, location! New exterior paint accentuates the sloping roof, large porch and sturdy columns; bungalow architecture at its finest! Inside you will find a bright, airy living room with laminate flooring and a cozy woodburning f"